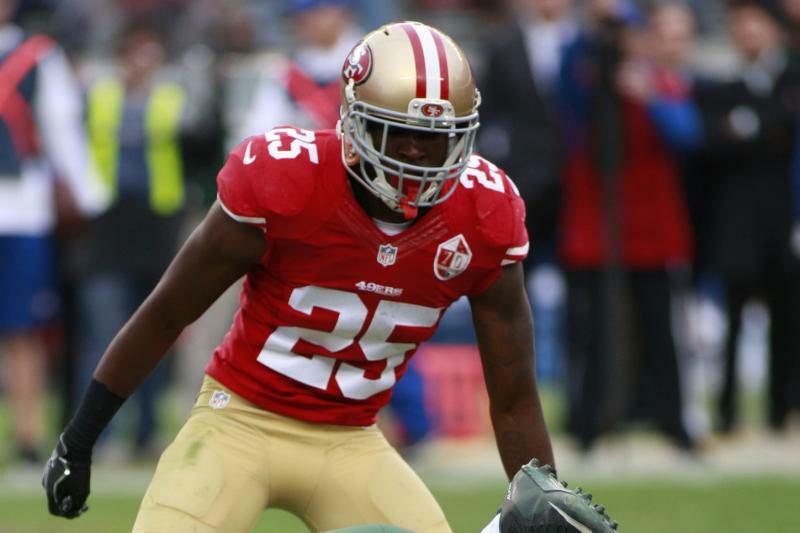 San Francisco 49ers defensive back Jimmie Ward was placed on injured reserve, the team announced Tuesday. A broken forearm ended Ward’s season for the second straight year. His rookie contract expires after this season, making him a free agent in March. Ward played in nine games this season and made seven starts. He did not have any interceptions and had 24 total tackles. Last season, he played in seven games with six starts and recorded 32 total tackles. The 2018 season was his fifth in the NFL, and he has made 31 starts and intercepted two passes. The 49ers also announced they have claimed defensive back Godwin Igwebuike off waivers from the Tampa Bay Buccaneers. The Bucs waived Igwebuike after he spent two weeks on the 53-player roster. He played 12 snaps on special teams two weeks ago against the New York Giants. Igwebuike was an undrafted free agent out of Northwestern, and he spent the first 10 weeks of the season on Tampa Bay’s practice squad. The 49ers also promoted linebacker James Onwualu to the active roster from the practice squad. Onwualu entered the NFL as an undrafted free agent in 2017, signing with the Chargers. He appeared in nine games and made nine special teams tackles last season with the Chargers. Los Angeles waived him on Aug. 26, and he joined the 49ers’ practice squad on Nov. 19.